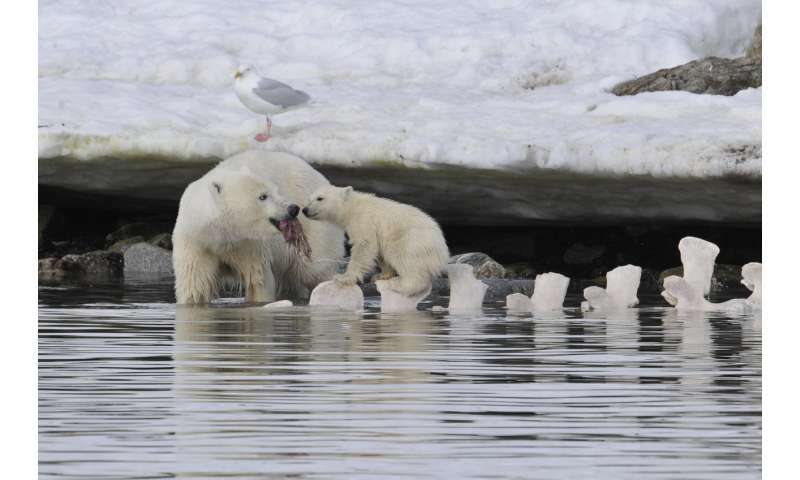 "If the rate of sea ice loss and warming continues unmitigated, what is going to happen to polar bear habitat will exceed anything documented over the last million years. The extremely rapid pace of this change makes it almost impossible for us to use history to predict the future," said lead author Kristin Laidre, a marine biologist at the UW's Polar Science Center and associate professor in the School of Aquatic and Fishery Sciences. "I think this is likely one of the most probable explanations for how polar bears made it through previous warm interglacial periods," said co-author Ian Stirling, former research scientist with the Canadian Department of Environment and an adjunct professor at the University of Alberta, who has studied polar bears for 45 years. "But when we look at the situation now, ecologically, with respect to food sources, it's a very different picture," Stirling added. 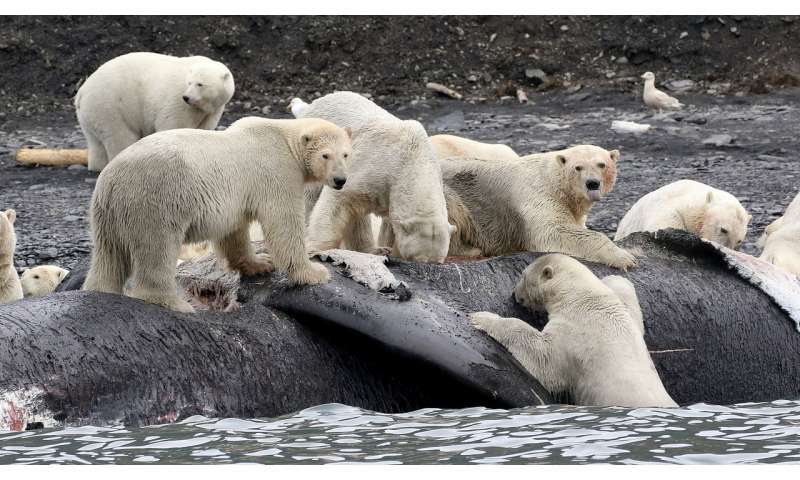 "The potential of whale carcasses to bail bears out may still be important in a few areas but, quite simply, their overall availability is going to be substantially less than before humans invaded the Arctic." 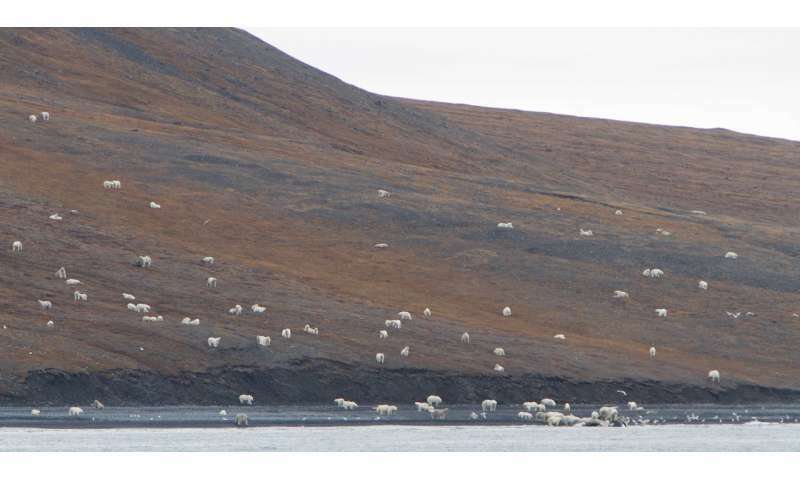 Then, they looked at the abundance of gray and bowhead whale populations—focusing on the coasts of Chukotka and Alaska—and estimated the number of potential strandings, factoring in that about 10 percent of whales that die will float to the surface, and only some of those end up on land that is accessible to bears. "Scavenging on large whale carcasses is probably important for bears in some areas and may buffer them from sea ice loss," Laidre said. "However, carcasses of large whales are not expected to replace seals as nutritional resources as we move towards an ice-free Arctic. In most regions, the environmental changes are too large and the whale carcasses are too few."